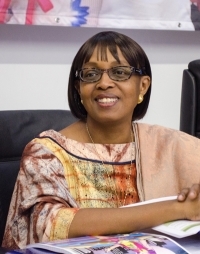 Addis Ababa, Ethiopia (4 February 2014) – The African Society for Laboratory Medicine (ASLM) commends the appointment of Dr. Matshidiso Moeti to serve as the next World Health Organization (WHO) Regional Director for Africa. Dr. Moeti is a distinguished clinician that has served in leadership positions for more than 35 years within WHO, UNAIDS, UNICEF and the Botswana Ministry of Health. ASLM applauds her track record of health systems strengthening and recommits itself to working hand-in-hand with WHO to achieve the ASLM2020 strategic vision – improved patient care and disease prevention and control through a strengthened laboratory workforce, laboratory accreditation, harmonised pan-African regulatory systems, and strengthened national and regional laboratory networks. ASLM is a pan-African professional body endorsed by the African Union that advocates for the critical role and needs of laboratory medicine.